Tell me about your journey from Hinduism to Catholicism. I converted to Catholicism in 1990. I grew up in a Hindu household speaking Hindi. As I grew up, I found myself searching quite a bit, just really for meaning and purpose in my life. I was going through a rather dark period when I became friends with a Catholic and saw the great joy in his life; a joy I lacked. I found out the source of his joy was his Catholic faith. So I asked him if I could go to Mass with him; there I had a powerful experience of God’s love and mercy. So I just had to keep coming back. That, in a nutshell, is how it all got started. I’ll publish my confessions after I die! I’m the only Catholic in the family. My parents — they took it hard. I really wanted them to know that I’m still their son and I love them very much, and that’s never going to change. In fact, my faith makes me love them even more than I did before. I let a supernatural grace into my natural love that I have for them. 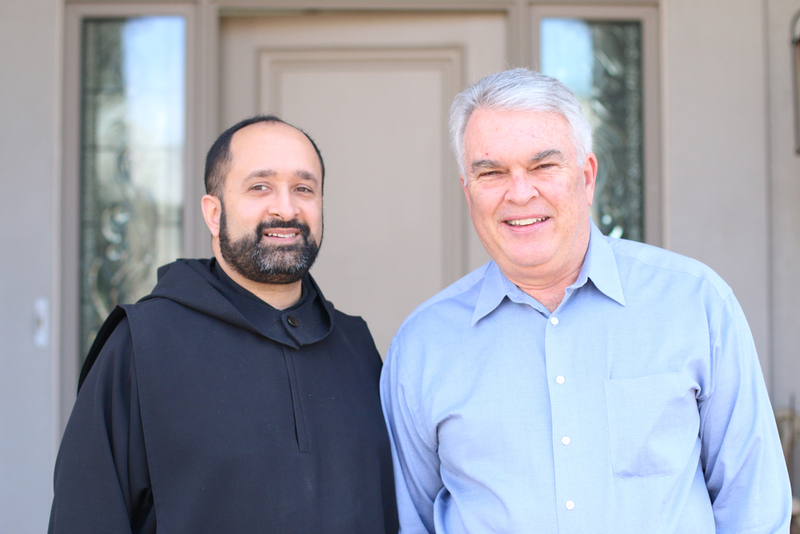 Was it a difficult transition, going from being a diocesan priest into monastic life? 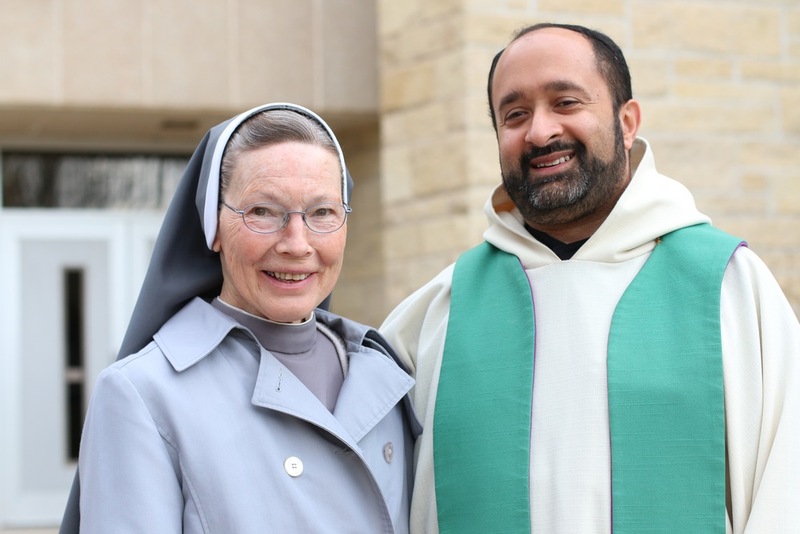 After serving as a priest of the Archdiocese of St. Paul and Minneapolis for twelve years, my bishop gave me permission to join the monastery in 2012. I knew there were many things I would miss. I don’t miss the administrative side of things. I have a deep desire for ministry and preaching and the sacraments, but the administrative duties were very challenging. I miss the connection with families, doing First Holy Communion, weddings, funerals, everything. So coming here was certainly a big transition. I think the biggest change for me was, being a pastor for eight years, I was in charge of everything – making a lot of decisions. When I came here, I became the last in the community. St. Benedict talks about in his Rule, in the chapter about priests, that they really have to be tested in humility – and it makes a lot of sense. To be a priest working in a parish, there is a certain sense of pride, a good sense. That has to be stripped away as you enter monastic life and you have to allow yourself to be led by others. Even in formation, I mean, I’m taking classes that I could probably teach and to be in the posture of humility means to realize that, even now, I can certainly learn something. That is something I’ve had to remind myself many times. Why did you keep your given name when you became a novice? I kept my name, partly because my dad didn’t want me to change it, so I wanted to honor him in that. Also, my name, Jay, has a very special significance to me. I was born two months premature and I almost died, and so the word Jay in Hindi means victory. So my parents named me Jay in the sense that I was victorious for my life. I’ve always tied in that Christ has been victorious in me. Christ on the cross is my victory. Lastly, I’m working on becoming St. Jay. There needs to be a St. Jay. But I have a long, long way to go.